Rocker Saved. Allison Iraheta Has Signed with Jive! WOOO! 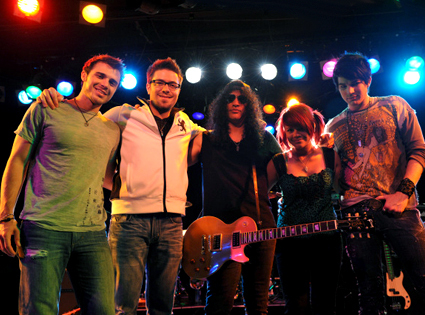 I am pleased to report that Allison Iraheta from Season 8 of American Idol has officially been signed with Jive! I think this label will do a great job promoting her and getting her singles to radio and sales for the album. Through out the season I had my doubts she’d get picked up by a 19 Entertainment label with the judges always seeming to downplay her talents, but I’m so happy I was wrong! I imagine we can see the debut CD out sometime this fall. I can’t wait, I’m sure it’ll be awesome! Let’s just hope they let her be who she wants to be as an artist. What do you think about this news? What kind of CD do you want from Allison? Leave your comments below or send an e-mail to theconservativejournal@gmail.com. Don’t forget to bookmark The Conservative Journal and sign up for the RSS Feed and the daily e-mail newsletter.